From the original 2011 Mattel Cars 2 series, here is Submarine Finn McMissile! This was the very first "Deluxe" size diecast in the series to be released and, as usual, is Mattel's signature 1:55 scale. In the film, Finn can be seen using his submarine fins at the end the opening sequence (after he "plays dead") to make his secret subsurface escape from the lemons. This Finn McMissile hasn't been re-released since, but he can easily be found inexpensively online on either Amazon or eBay. 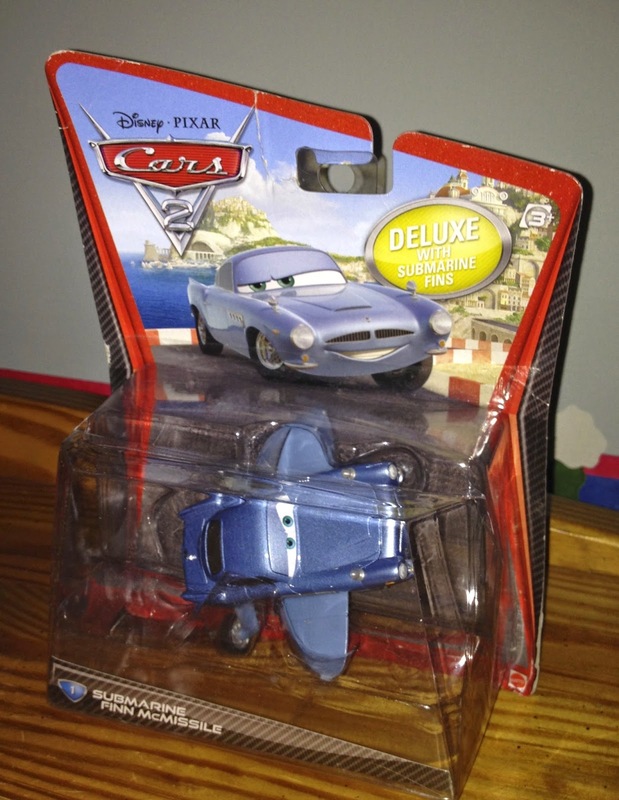 He's a must have for any avid Cars / Cars 2 collector so be sure to track this one down!